According to the latest National Retail Federation survey, American retailers lose almost $50 billion annually to theft. Shoplifting accounts for 36.5%, or most of those losses. If you understand the factors that lead to the shoplifting epidemic, it will help you determine effective measures, recognize points of intervention, understand seasonal patterns, and select an appropriate set of responses when it comes to your own retail business. 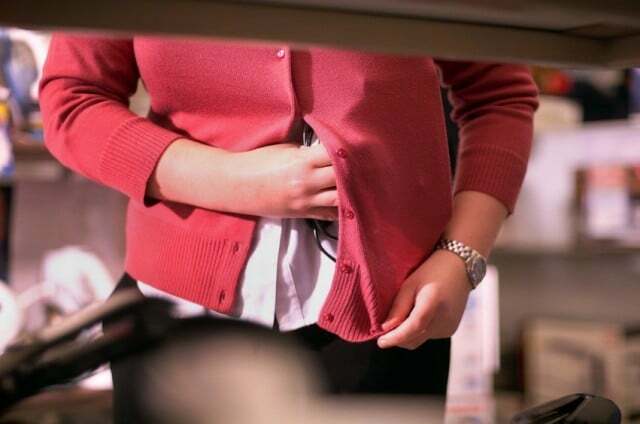 Here are a few easy ways to stop shoplifters. First, start with help from your POS software. A POS system can help you keep track of what is on your shelves through inventory management, which can help you account for inventory shrinkage. A POS can also help manage your internal risk of shrinkage through cash controls. Nobody wants to believe that a thief is right under his or her nose, but it happens—a lot. A Bepoz POS system can help with features like blind drops, audit logs, manager permissions, enforcing cash drawer closure, just to name a few. Monitor your store’s activity 24/7 by installing surveillance. Study your customer traffic flow. You can monitor how people move through your store and make it to the checkout line or the front door with stolen merchandise. You can make appropriate changes to your store’s design flow to increase sales instead of losing them. You can also use your camera system to monitor employees. A good point of sale system can interface with many popular camera systems to overlay transaction details over the video feed. With some systems this feed can even then be searchable for specific events that happen at the point of sale like discounts, voids, no-sales etc. If you can’t afford video surveillance, another great way to deter shoplifters is through signs and mirrors. Let customers know with prominent signs that shoplifting will not be tolerated and persecution will happen. A recent Arizona State University study found that Wednesday through Sunday were peak shoplifting days. Add in summers, and holidays as high chances of shoplifting. The more you know your customers, the less likely they will consider stealing from you. Valuing your employees and helping them to feel appreciated can deter employee theft. In some retail stores, employees steal from employers more than shoplifters. You can Stop Employee Theft With Your POS System. It may seem like overkill to call the police for someone taking a $5 item, but it’s good to set precedent. Thieves talk. Let it be know in their circles that your retail store is tough on shoplifters. The location of your POS check out is key. If it’s in the front of the store, it’s easy for cashiers to greet customers and watch as they leave the store. One of the easiest places to steal is the dressing room, but you can deter that by placing an employee in that area to monitor what is brought in and out of the dressing room. Place an employee at your doorway checking receipts. You’ll find this strategy in use at Walmart, and it works. If people know their receipts and bags will be checked upon leaving the store, they are less likely to shoplift. What ways are you are stopping retail shoplifters? Is it working? Have you been evaluating and checking your shrinkage data each month? How can you decrease retail shoplifting in your store? These are all questions you might want to ask yourself. You might find when you dig into prevention in this area, you find more money, money that you haven’t been seeing on your books. Call Bepoz for more details about how a POS system can help reduce retail shoplifting and more.